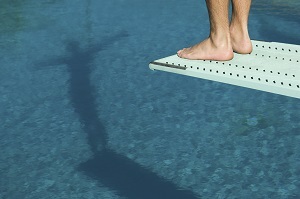 Buy-To-Let In Retirement – Should You Take The Plunge? According to the Council of Mortgage Lenders, by the end of 2014 there were 1.6 million buy-to-let mortgages in the UK, equating to approximately 15% of all outstanding mortgage balances. This is a relatively hefty number. But could it be the answer to give you a bit of extra income in retirement? Experts are divided as to which is the best way to save for your retirement. What is the best way depends on a number of factors, including your age, the type of person you are and your income. What is a buy-to-let mortgage and who is eligible for one? A buy-to-let mortgage is for landlords who wish to buy property specifically to rent it out. Whether you can get one or not depends on the same affordability checks you will have to go through with any mortgage. Lenders will want you to prove you can afford the repayments even if interest rates rise. However, it is possible to turn a profit on the sale of the property, if you are prepared for the responsibilities that a buy-to-let mortgage will ask from you. •Property is a more tangible investment than stocks and shares. Historically, it’s also generally less volatile over the long-term. •If the housing market does well, you may be able to sell your house for a profit. •Buy-to-let landlords can offset their mortgage interest payments and some of their costs against their income. However, from April 2017, you will no longer be able to claim tax reliefs worth 40% or 45% of the interest payments on your buy-to-let mortgage. Instead, the maximum tax relief will be set at 20%, although the change will be introduced over a four year period. •Investing in property is a long-term decision and you will be tying up your capital in one spot. If you want to get hold of your money quickly, it may not be easy to do so. •You will need to find tenants to fill your house yourself. The amount of rent you can charge isn’t set in stone, and if you cannot find tenants who can cover your mortgage payments you will need to cover the shortfall yourself. •You will be responsible for any repairs or maintenance costs to the property, which could work out to be more than you expect. •Although the price of houses do seem to be increasing currently, like any market, this isn’t guaranteed and the price of your housing investment could go down as well as up. You should be prepared to not turn a profit. If interest rates rise, rents fall, or the property is empty for a long period or needs expensive repairs, then additional costs could be incurred. •You may also need to pay Capital Gains Tax on any profit you make. It’s the gain you make that’s taxed, not the amount of money you receive, but you can find more information on Gov.uk. If you are considering purchasing a buy-to-let investment please contact NP Estates professional lettings department for further advice on all options available to you.